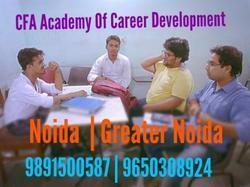 CFA Academy is NOIDA’s oldest and Number 1 Tuition Centre. It is best for Faculties, Course completion on time. CFA Academy Of Career Development located in sec-52, which are well connected with public Transport such as Metro, Buses, and Autos. It was established in the year 2006, for giving tuition services in Delhi-NCR. Genx Coaching Software is a Application product, Coaching Institute Management Software is a convenient Coaching Institute management program. We are providing Scholarship upto 70% for all CADD software courses. To get this offer just attend an online examination in chromepet center. Score more and win a Laptop. Note While you come, bring the above Hall ticket to attend the online exam. Don't miss this golden opportunity. Friendz Exhibitions & Promotions Pvt Ltd.